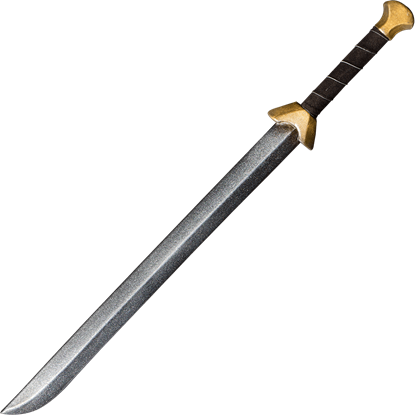 Your ancestors spent much of their lives mining for the gold and silver that decorate this peerless weapon. 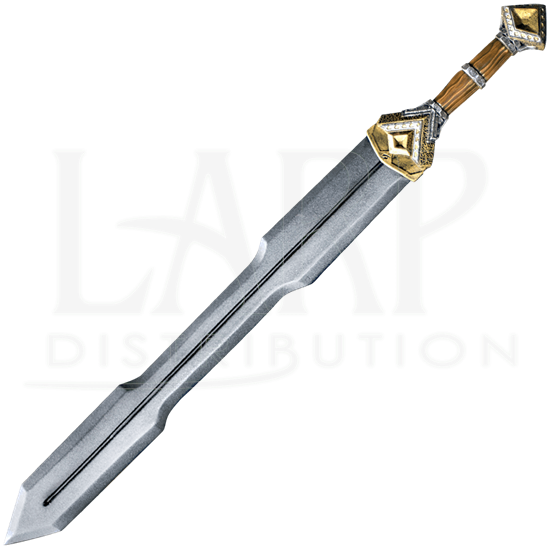 Fashioned by the skilled hands of a legendary blacksmith, the Dwarf Double Edge LARP Sword is your most prized possession. 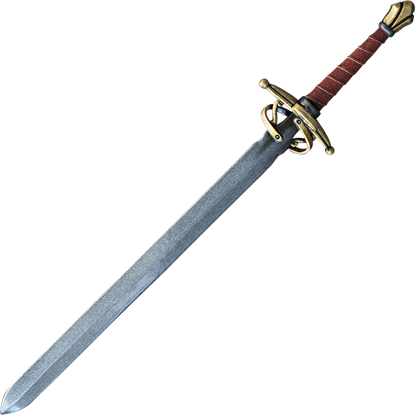 The beautiful, ornate features of this high fantasy weapon were masterfully sculpted and painted by hand. A deep fuller runs down the center of the stylized blade. Rectangular cutouts appear at the midsection. 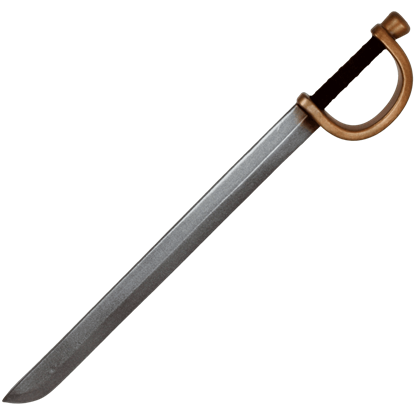 Gold and silver accent the narrow cross-guard and pommel. A medium wood grain highlights the grip. 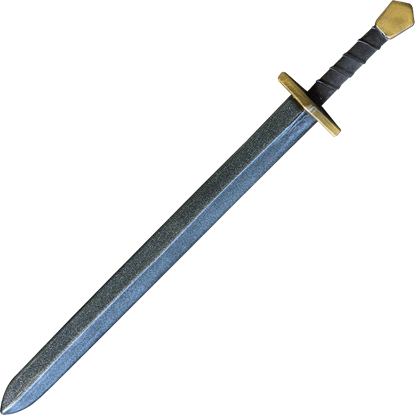 The hilt is a polyurethane foam cast, which allows an incredible amount of detail and a slip-resistant hold. This blade is made from an extremely durable foam that does not shred and sealed with a strong coating of latex. 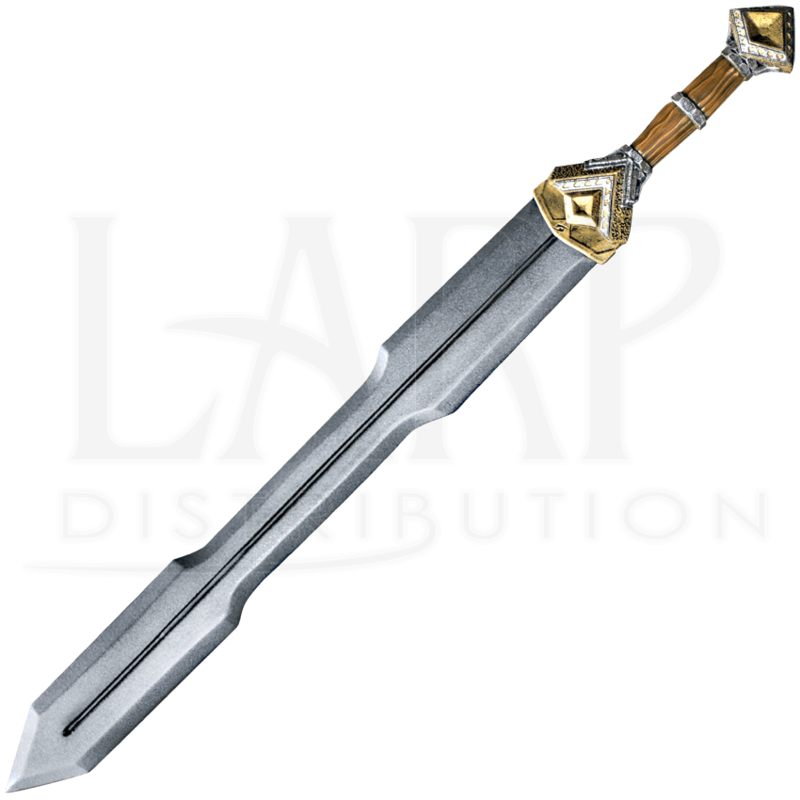 Safety is always a concern in LARP, which is why this weapon has a round, flexible fiberglass core with strong Kevlar core tip protection.